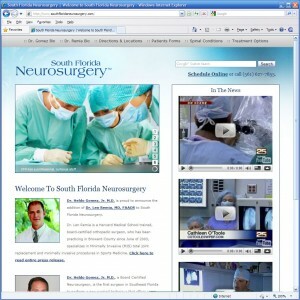 South Florida Neurosurgery was designed with a community feel and built on the Modx Framework with social network, YouTube, Google Map and Google Search integration. All that remains is to bring in a little more video footage, add some custom photography and a bit more content and this project is complete. So far, the client is very happy with the results, and the organic SEO has been off the charts.